Right next to Walt Disney World and in a convenient location to access all of Disney’s attractions, as well as SeaWorld and Universal Studios, Springhill Suites Orlando At Flamingo Crossings is an ideal hotel for your Orlando stay. There is a range of on-site amenities available for guests to use, including a swimming pool, fitness centre, modern and well-furnished rooms and an on-site restaurant. There are plenty of golf courses close to the resort while this is great accommodation both for couples and for families with children. The suites can sleep between three and five people. The Springhill Suites Orlando At Flamingo Crossings is a prime location for anyone who wants to be close to all the Disney parks as well as the other main attractions. 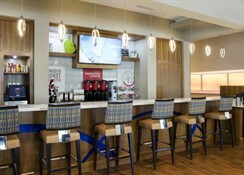 Springhill Suites Orlando At Flamingo Crossings is close to Disney’s Animal Kingdom (2.1 miles), Walt Disney World (3.2 miles), Disney’s Magic Kingdom (3.2 miles) and Disney’s Hollywood Studios (3.8 miles). SeaWorld (9.4 miles) and Universal Studios (10.9 miles) are easily reachable and you can also play on a range of courses which are located close to the resort. The Orlando International Airport is 18.9 miles away. 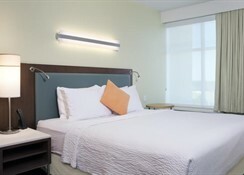 There are three different accommodation options at the Springhill Suites Orlando At Flamingo Crossings. Queen Suites can sleep up to five people and have two queen beds with a sofa bed and there is an option with Fireworks View. You can also stay in a King Suite with sofa bed that can sleep three people. 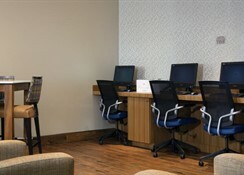 All the rooms come with Wi-Fi, air conditioning, iPod docking station and a flat screen TV. 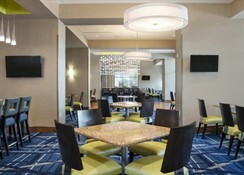 There is an on-site restaurant at the Springhill Suites Orlando At Flamingo Crossings. Flamingo’s Bar and Grille has a range of meals and poolside dining where there is also a fire pit. Guests can also find a coffee bar at the hotel and there are various eateries in the nearby area. Springhill Suites Orlando At Flamingo Crossings has an outdoor pool, whirlpool and access to a fitness center. Golfers will particularly enjoy staying here as The Legends Golf Course is 2.3 miles away from the property, Orange Lake Golf Course isn’t far away either and there are also hot air balloon rides close by. Prime Outlets Orlando and a range of other shopping malls are also easily accessible from here so the accommodation is in a great place whether you are visiting for the theme parks, golfing or shopping.